A four-year cataclysm that left in its wake more than six hundred thousand dead and two million refugees—and destroyed legal slavery in the United States—the Civil War sparked some of the most heroic and achingly dark moments in American history. Join Gilder Lehrman and Allen C. Guelzo of Gettysburg College in a study of the war’s strategy, tactics, and memory, and consider the legacy of the Civil War 150 years after its end. 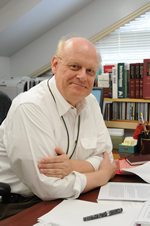 Allen C. Guelzo is the Henry R. Luce Professor of the Civil War Era and Director of Civil War Era Studies at Gettysburg College. He is the author of many books, among them Abraham Lincoln: Redeemer President, which won the Lincoln Prize in 2000, and Lincoln’s Emancipation Proclamation: The End of Slavery in America, which won the Lincoln Prize in 2005. His latest work, Gettysburg: The Last Invasion (2013), spent eight weeks on the New York Times best-seller list and also won the Lincoln Prize—making Professor Guelzo the award’s only three-time honoree. His articles and essays have appeared in scholarly journals and the New York Times, the Wall Street Journal, the Christian Science Monitor, the Washington Post, and the Los Angeles Times, and he has been featured on NPR, the Discovery Channel, the National Geographic Channel, Brian Lamb’s BookNotes, and The Daily Show with Jon Stewart. 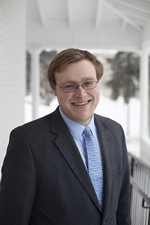 Brian Jordan is a Lecturer in Civil War Era Studies at Gettysburg College. He earned a BA in History and Civil War Era Studies from Gettysburg College and an MA, M.Phil, and PhD (with distinction) from Yale University. He is the author of Marching Home: Union Veterans and Their Unending Civil War, and his essays have been featured in several scholarly journals and magazines, including Civil War History, and the Journal of the Civil War Era.